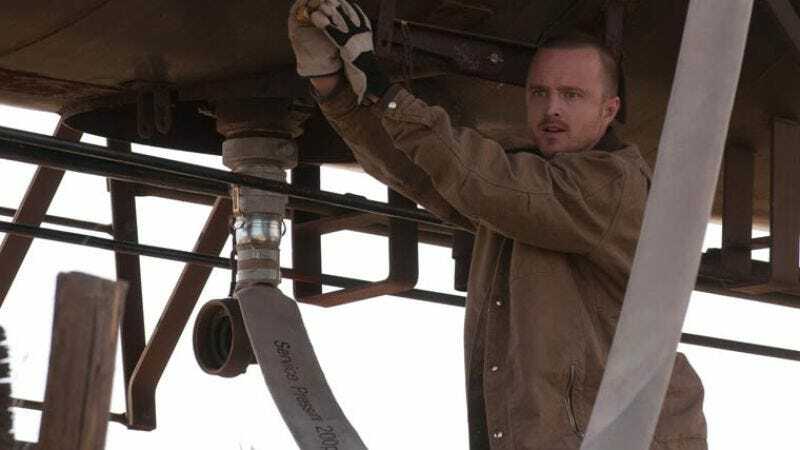 After a thrilling heist that we assume revolved around a stopped train and some long internet-tubes, hackers have managed to pirate an Ultra HD copy of the Breaking Bad pilot from Netflix. That’s according to Torrent Freak, which says this is the first piece of Ultra HD content pirated from the streaming service, despite the fact that the copy protection on files like this was supposed to be so good that it would be impossible for hackers to get their hands on it. Torrent Freak says the leaked episode is currently only available on “private torrent trackers,” but it will most likely spread around soon. Netflix announced last year that it would be raising the price of its Ultra HD streaming content, which offers video at four times the resolution of a normal HD video. Of course, whatever you’re watching the video on has to be able to display the 4K image—which most things cannot—so the audience for this Ultra HD leak is pretty small. Still, the fact that Netflix charges more in order to be able to access 4K stuff and goes to extra lengths to try and make the content un-pirateable means it’s probably not very happy about getting compromised like this. After all, if this stuff can be pirated, there’s a little less of an incentive for people to pay extra for it.